We are honored to have talented pianist James Williams perform during our Welcome Reception on October 12th of the ROOF & Florida APSE 2016 Partners for Progress Conference. James A Williams is a young and very gifted piano player, who wows his listeners with his musical talents. He was diagnosed with Autism at the age of 3 and has overcome many major obstacles to obtain his current status. James has the ability to play by ear and is self taught within the last five years. 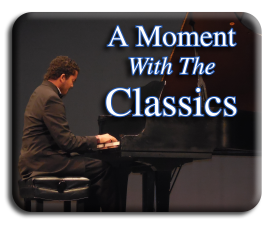 His debut album – A Moment With The Classics, features Fantasie Impromptu which has become his trade mark. He has been selected to take part in several major Fine Arts competitions over the last few years, representing the State of Florida at the National level.